When you combine the stunning scenery that Bali is reknowned for with the amazing venues we have available, the exquisite decorations our wedding planners provide and, with the glowing smiles of happy couples in love - its no wonder we have an amazing collection of photographs in our gallery. 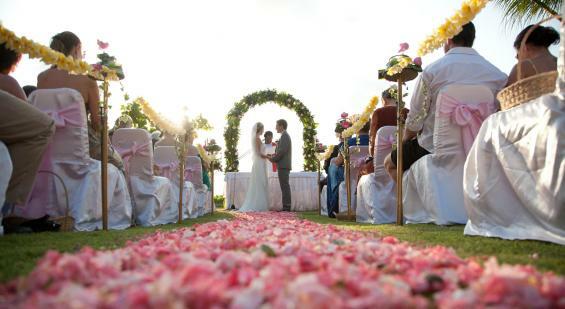 These beautiful images below will hopefully inspire you to turn your dreams of a Bali wedding in reality. To view photos at full size click on the big image above.